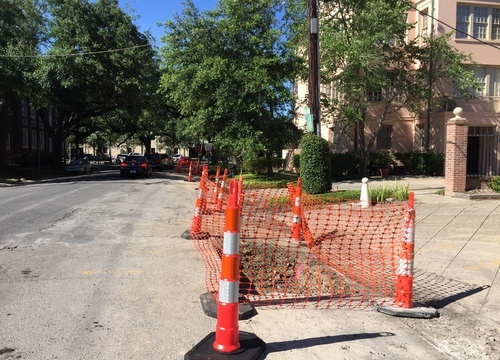 A $1 million project to improve drainage on Henry Clay Avenue near St. Charles Avenue has begun and will last through the summer, according to the city of New Orleans Department of Public Works. The project runs on Henry Clay between St. Charles Avenue and Hurst Street, and will include removing the top layer of pavement, patching the base, repairing a damaged drain line near St. Charles Avenue, installing a new 24-inch drain and eight new catch basins, repaving the street and installing new Americans with Disabilities Act-compliant curb ramps. Barriere Construction Company has the $1 million project, and it is scheduled to last “through the summer,” according to the project announcement.